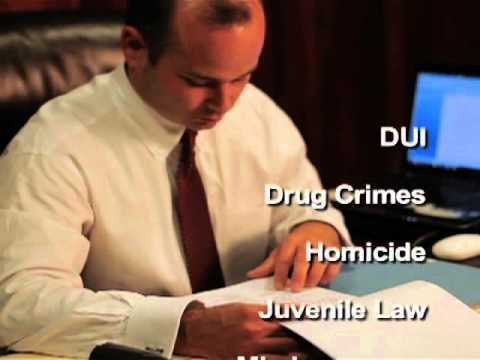 North Little Rock Law Firm, David R. Cannon | Motions in Arrest of Judgment "
A motion in arrest of judgment is a post-trial motion to quash a defendant’s indictment or information. The motion cannot be used to challenge the sufficiency of the evidence at the defendant’s trial. It may only be used to challenge the legal sufficiency of a trial court’s judgment. A motion in arrest of judgment may be granted if a defendant’s indictment or information contained a substantial defect. For example, if the information was not signed by a district attorney or a state attorney, the information is defective. Also, if the indictment did not properly include all the elements of the defendant’s offense, it is defective. The motion may also be used if a jury’s verdict is defective as far as the allegations of the information or the indictment are concerned or if the verdict is otherwise invalid. Motions in arrest of judgment are rarely used because defects regarding informations or indictments are more frequently raised by motions to quash the indictments or the informations. A motion to quash is preferable because it raises the insufficiency of the indictment or the information prior to trial. In most states, a motion in arrest of judgment is limited to certain grounds. If a defendant does not adhere to those grounds, the prosecution may challenge the motion on appeal and may claim that there are procedural defects in the defendant’s motion. A motion in arrest of judgment must be filed within a certain number of days after a defendant’s sentence has been imposed by a trial court. A motion in arrest of judgment can only be filed by a defendant. It cannot be filed by the prosecution. If the motion is not ruled upon by the trial court within a certain number of days, it is considered to be overruled. A trial court has discretion whether to grant a hearing on a defendant’s motion in arrest of judgment. If the trial court grants a hearing, the defendant’s presence is required because the hearing is considered to be a part of the defendant’s trial. If a defendant’s motion in arrest of judgment is overruled, the period of time in which the defendant must file a notice of appeal begins to run. If the defendant’s motion is granted, the defendant’s judgment is arrested and the defendant is placed in the same position that he or she was in prior to his or her indictment or information. If a trial court determines that the defendant may be convicted upon a proper indictment or information, the defendant must be taken into custody or he or she must be released on bail. If the trial court determines that the defendant cannot be convicted upon a proper indictment or information, the defendant must be discharged.